Discussion in 'Guitars in General' started by SPROING!, May 4, 2016.
Who has something truly unique? Not rare but a one and only. scr@tchy, JosephCurwen, Silver Hand and 6 others like this. 100 year old barn pine wood, Railhammer H90Gnarly pups. cutaway, sadhudude, Eric Porter and 25 others like this. 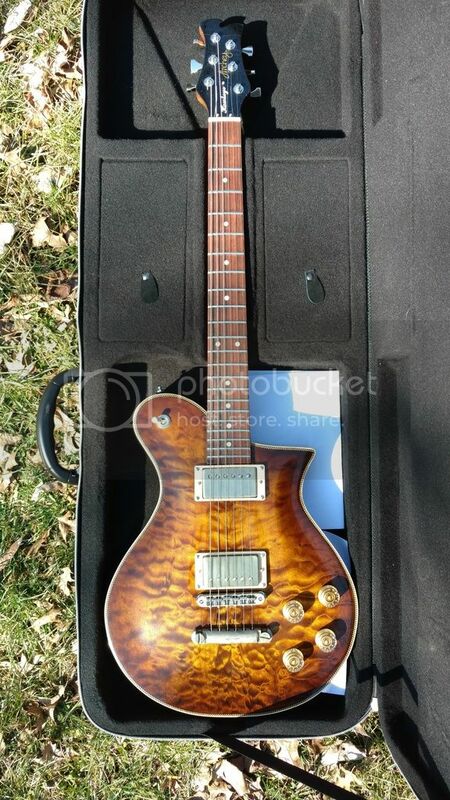 I haven't seen any other Kramers with the Made in Canada ID on it..maybe Lasido? I have a few Kramers so I am a big time fan! T Dizz, scr@tchy, Torren61 and 6 others like this. IamKrisJones, scott944, smallbutmighty and 12 others like this. scr@tchy, Sloop John B, Torren61 and 8 others like this. 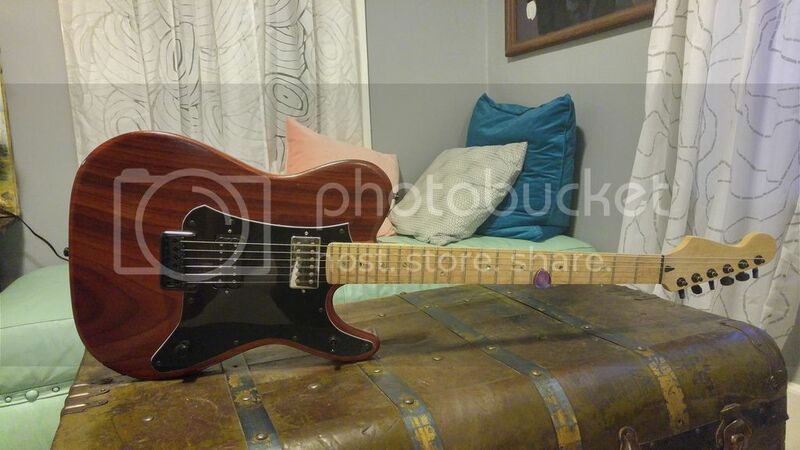 The coolest thing about it is the '76 Gibson Firebird pickup up front (and the fleur-de-lis inlay at the 12th, okay and the cat's eye sound hole). candid_x, scott944, KeLynne and 11 others like this. 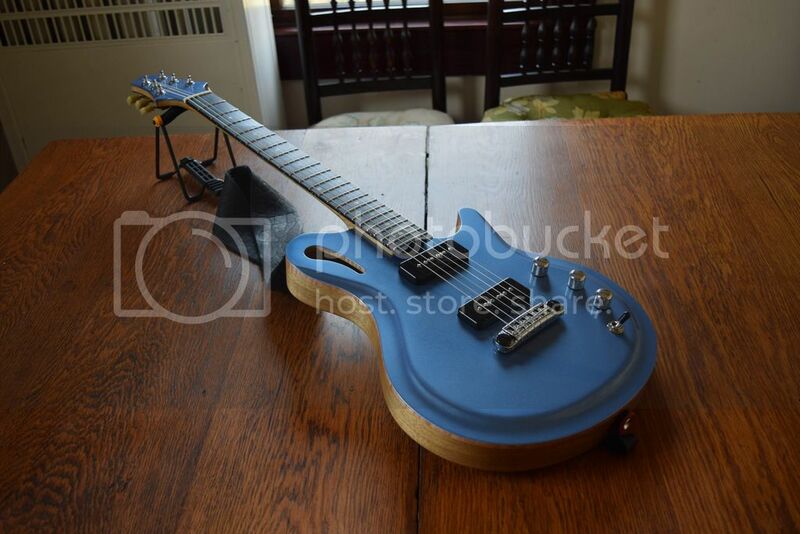 I have three, one-off, prototype guitars. They are currently the only examples of their kind that exist. gkoelling, HTSMetal, candid_x and 27 others like this. 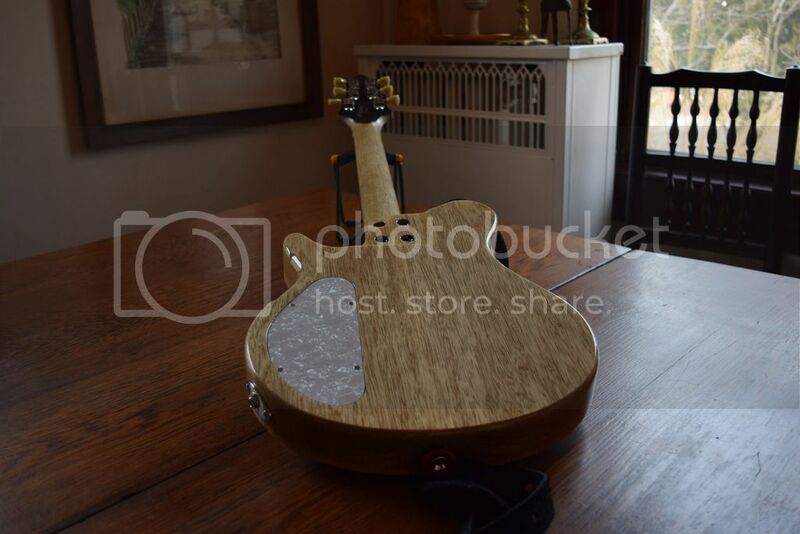 It's a safe bet that no one else has a Bowery Pine with a flipped embossed Gibson bucker in the neck and this particular custom wood pickguard. 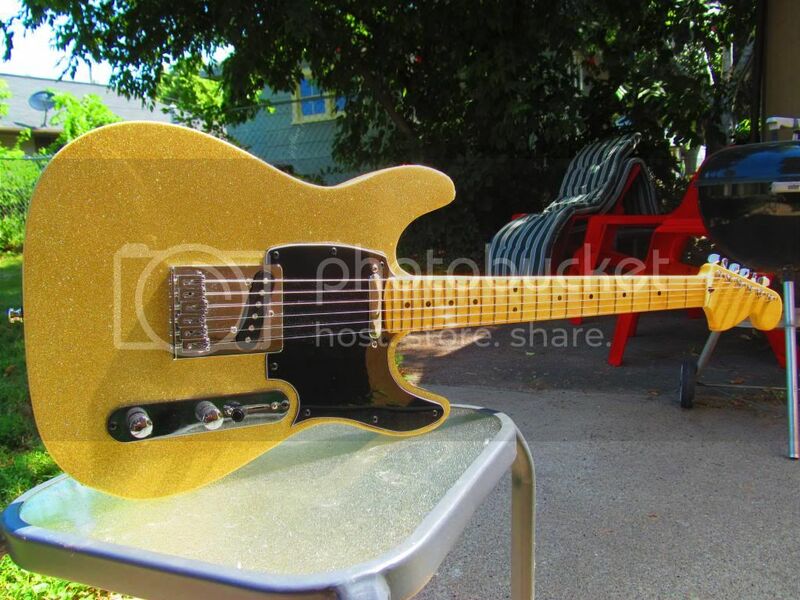 Of course you could make the argument that it's still a Tele. True - perhaps a unique modification of the form, but not a unique form in itself. And here's an instrumental with the Blondie Jr.
IamKrisJones, candid_x, scr@tchy and 8 others like this. 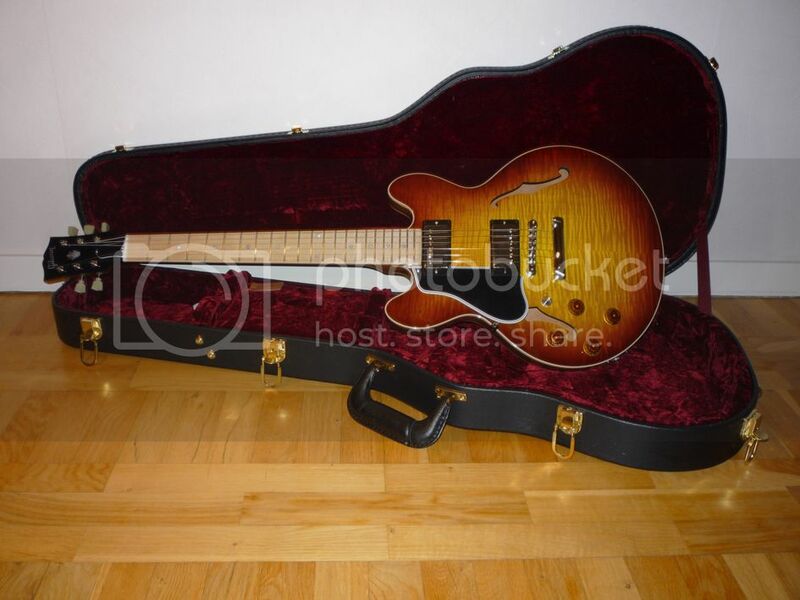 I'm pretty confident that there is no other guitar like this around: Lefty CS336 in Caramel Burst, with maple fretboard, P90's in humbucker format and a six way switch. candid_x, scott944, whuppo and 5 others like this. scr@tchy, T Dizz, Torren61 and 3 others like this. scott944, scr@tchy, Torren61 and 5 others like this. Before Kramer, Neptune, NJ closed it's doors, they were contracting ESP and Lasido to make their guitars. My Canadian prototype was probably made by Lasido. A lot of Kramer bodies and hardware was outsourced and then inspected/assembled in Neptune, NJ. 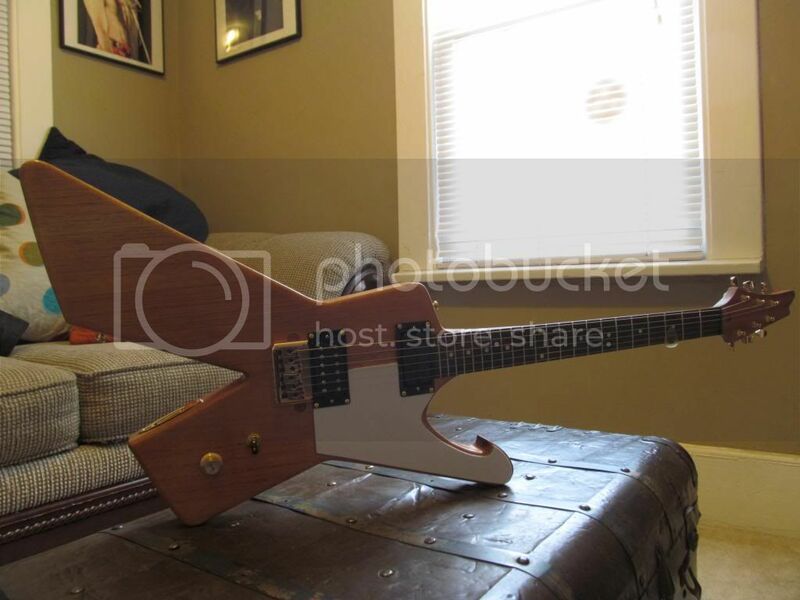 Just because the head stock said Kramer, it didn't mean it was made by Kramer. 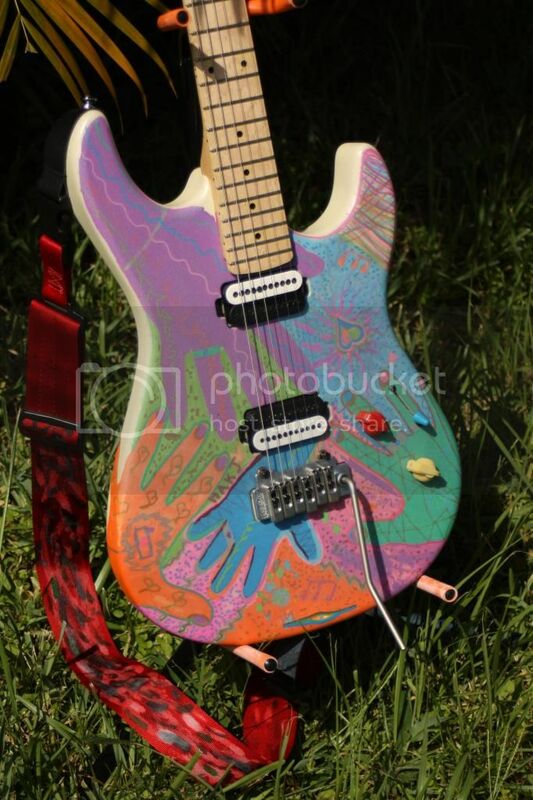 I had a Kramer Strat body that was a prototype where there was another route for a dummy single coil p/u that would cancel the hum of the other single coils. This never made the retail market. 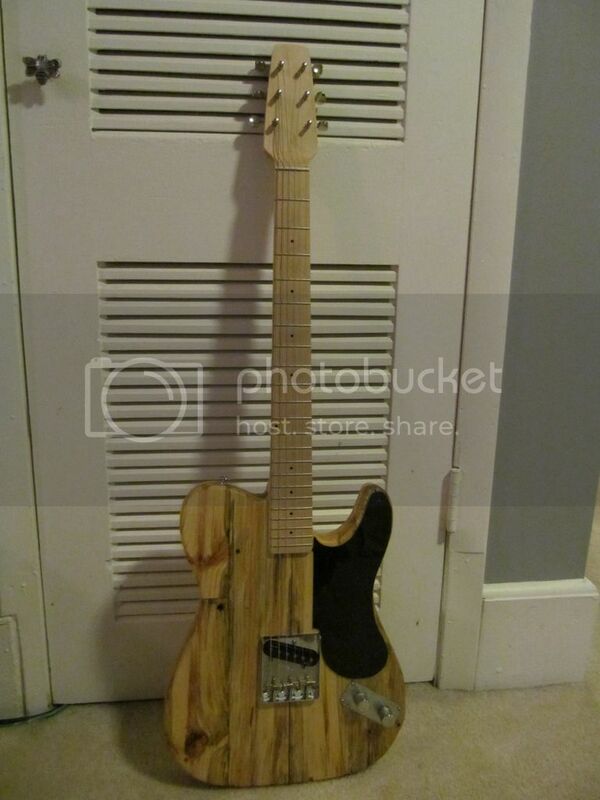 I think it was made by ESP. aussie_owner, Sneaky, cutaway and 24 others like this. cutaway, xStonr, scott944 and 19 others like this. Nice guitars Jahn - particularly the Blondie Jr.! I'm really into old pickups and the '63 sounds large and present in your clip. Nice playing BTW. Not mine, but one I've admired. 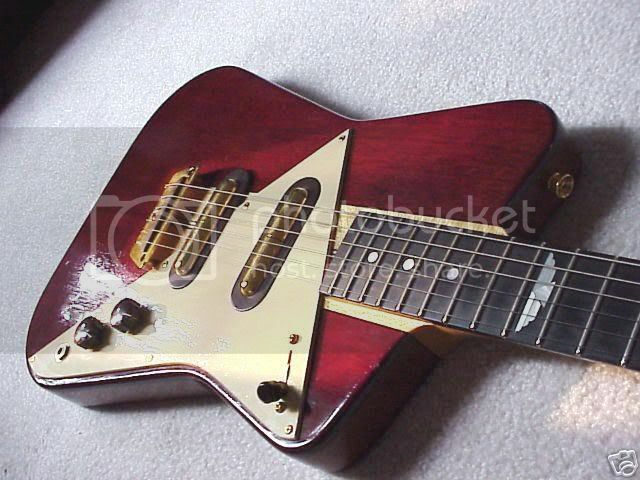 One-off, circa 1980's Jerry Jones "Vanelectro", built for Nashville songwriter/producer Rafe Van Hoy. 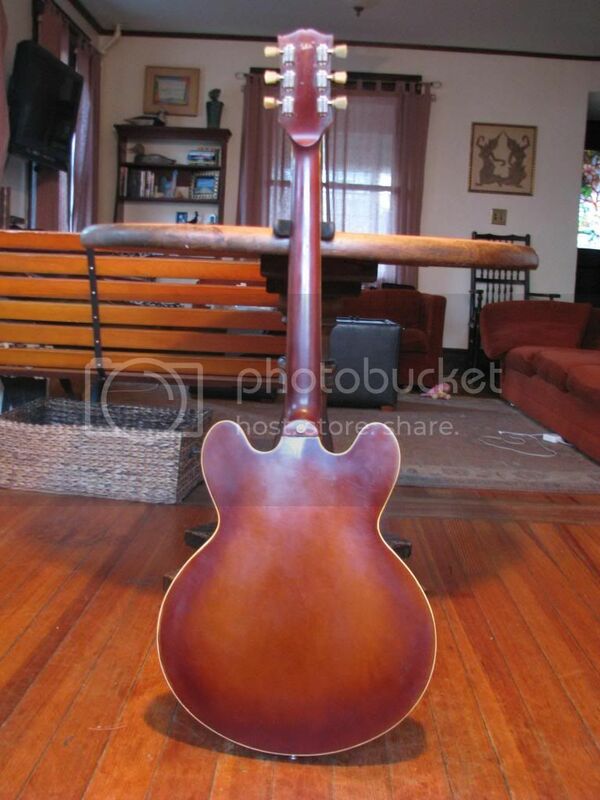 Built just before Jerry Jones started making the whole line of better-built Danelectro reproductions. Mr. Kite, HTSMetal, whuppo and 11 others like this. My Tim Tucker/Front Porch Luthierie built 335 Relic, laminated birch/maple/birch back and sides with a basswood center block and african mahogany neck. This is a great example of a 335 with the tweaks making it truly unique. 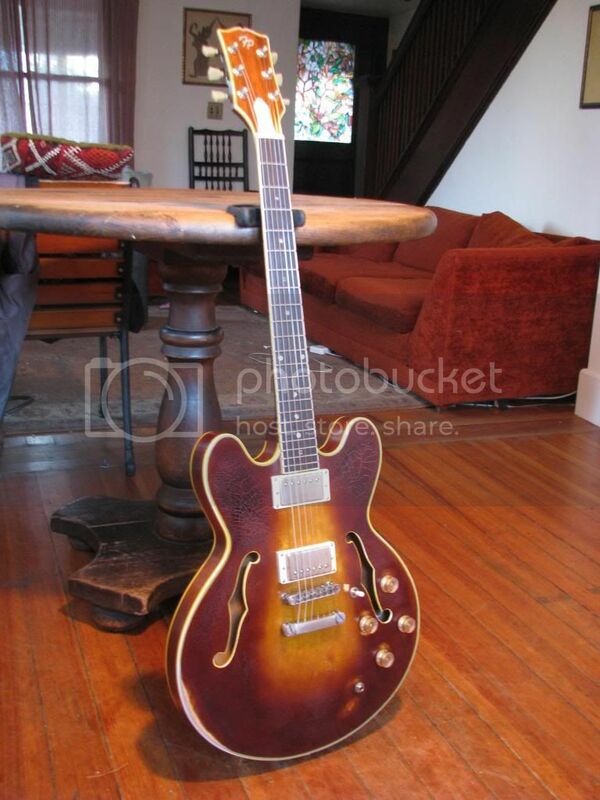 I also think it may be one of the only, if not the only semi-hollow Tim has built. And next up is my recent custom ordered Gadow Custom Hollow in korina with maple top, korina neck, ebony board, P90s 2 vol/1 tone, 1 3/4" nut. Coming in under 7 pounds, this is all I hoped for and then some. I have a few others, but these two are worth the mention. cutaway, scott944, scr@tchy and 9 others like this.